Open your eyes to darkness. What do you see? Does the darkness frighten you? Now imagine the darkness being the cargo hold of a slave ship. Your city has fallen. Your family is most likely dead. You don't know anyone around you, and some of them aren't even human. Giving up would be so easy to do, but not for Arowyn Mason. Not after being raised in a military family with seven brothers. Every great story should begin with a plan. Aro’s was to escape and to survive. The gate finally came into view and a great sigh of relief whooshed out of her. Soon they'd be out and hopefully her heart would dislodge itself from her throat. The arrows whizzed by, clattering on the stone of the street around her. One of her brothers cursed, but she couldn't tell which one. She dropped into a crouch. An arm pressed over her back as she glanced over at Sammy. His eyes were wide but he tried to smile. It didn't really work. "Stay down, Aro." She nodded and looked forward. "Wither me," she gasped. The north wall crawled with men, but not just theirs. More appeared, coming up ladders braced against the wall. She watched the fighting on the walls in fascinated horror. All of her years of lessons hadn't prepared her for the ferocity and blood of true fighting. Kingsport soldiers fought valiantly, but quickly became overwhelmed. Bodies toppled off walls as enemy archers continued to fire into the city. She stumbled as Sammy grabbed her arm and they all took off running down another side street. Glancing back once, she saw the small north gate literally break open from mounted soldiers pouring through. "Next plan," Paul hollered over his shoulder. "Ashton's." She had no idea who Ashton was, but further into the city a number of nobles had land bordering the cliffs. Perhaps this Ashton had an escape route. The streets were finally cleared of civilians. The odd soldier could be seen running by, carrying messages or other such errands. They ran, keeping close to buildings as they moved from one street to another in the direction of the harbor. The sound of fighting ahead slowed their progress. "We're almost there," Paul said, gesturing for them to keep following. They reached the intersection of Baker and Counter streets. The fighting had somehow gotten ahead of them. Perhaps those attacking the harbor had docked and come ashore to fight. Paul stopped and turned, drawing his sword. "Straight through. Two by two. Watch your backs. Keep Aro in the center." He looked over at her. "You're with me." Before she could say anything, her brothers ran out into the street in pairs, fighting to clear a path for them. She drew her knives and followed Paul, sticking as close to him as she could. Men fought all around her, yelling, screaming, and cursing. Blood sprayed, covering the stones of the street as bodies fell. She gritted her teeth and paid attention to the living. Luckily, their soldiers all wore the same general uniform under their leather armor. More enemy ran into the intersection from another street, jumping into the fight and engaging her brothers. The clanging of swords and sounds of fighting grew louder, almost drowning out the bells. All her years of practice with her brothers kept her alive as she ducked and dodged around friend and foe. Blood splattered her face and hands. Skipping to the side, a sword slid across her armor, cutting it but not her skin. She tried to keep an eye on her brothers, but everything moved so quickly she kept losing track of them. Bodies littering the street and growing puddles of blood began to make fighting more difficult. Twisting around, she scanned for more enemies. An arrow bounced off of Paul's back and she wheeled around, looking for the shooter. He was far down one of the side streets, but there were more advancing behind him. "Archers coming!" Paul turned and grimaced. "Regroup!" She followed, jumping over bodies as Paul led them toward the far street. Half a dozen enemies turned a corner ahead and ran toward them. Paul raised a hand and she skidded to a stop behind him. Her brothers gathered around her and she did a quick head count. Everyone was there, and no one looked to have anything more than a few scratches. Sammy grinned over at her. "Doing good, sister." She blinked at him, trying to catch her breath, and then grinned back. Paul pointed his bloody sword at the men running toward them. "Masons, forward!" Thanks to her mother she acquired a love of books at an early age and began writing in public school. She constantly has stories floating around in her head, and finds it amazing most people don’t. Jennifer writes various forms of fantasy, both novels and short stories. Sweet light is her debut novel. 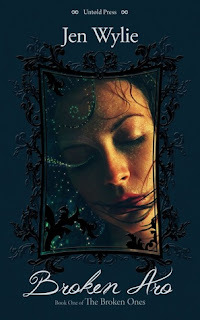 Her debut short story Jump came out as an eBook Dec 2010, followed by her short story The Forgotten Echo. She is currently putting out a short story series for young adults, Tales of Ever. There are 6 installments with one released each month ending in fall 2011. Her debut novel, Sweet Light, was released the end of May 2011 and is available everywhere as an eBook for 2.99 and in print at Amazon and Createspace. 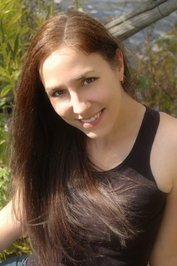 She has recently signed with Hadley Rille Books to release her YA fantasy novel Broken Aro in fall 2012.